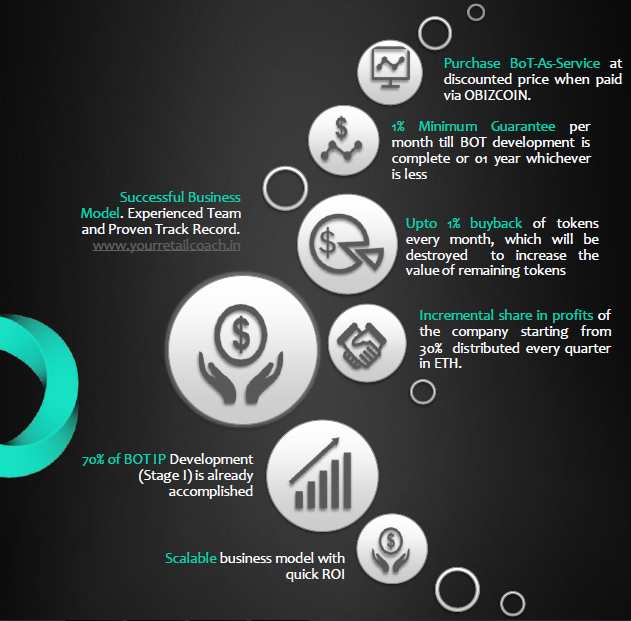 Obizcoin BOT is decentralized business process management application for SOP development & implementation. 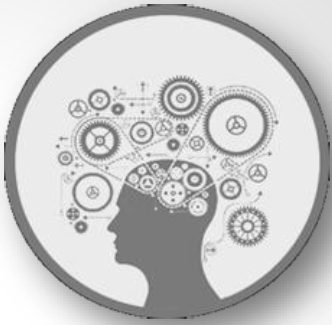 Obizcoin plans to utilize YRCs domain expertise and rich industry and rich industry experience by integrating it into BOT through Artificial Intelligence & blockchain technology. This will cut down on time needed for research and development of every domain as YRC has already developed Intellectual Property of more than 10 domains that they are already catering to. This shall speed up the turn around time from development to sales. As once the technology of BOT is ready, the sales can be immediately started with these existing domains. 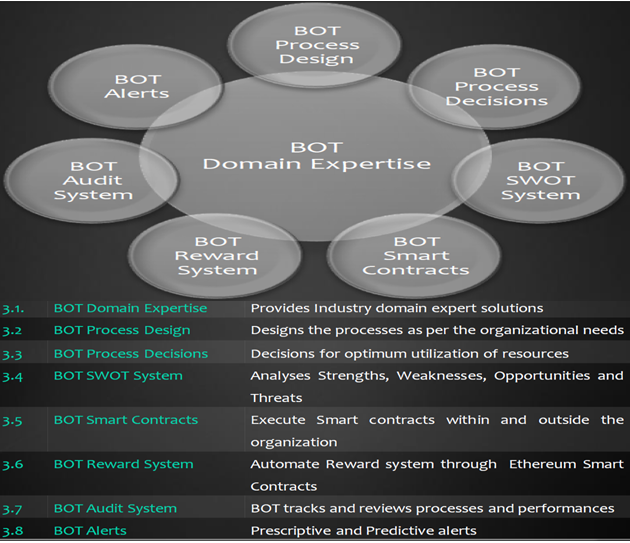 BOT will be capable of developing and improvising business processes with the help of AI and Ethereum Blockchain Technology Perpetual up gradation in Business intelligence will make the BOT smarter each day, which shall eventually augment to the process excellence quotient of the organization. •80% of Startups & SMEs across the globe face certain standard challenges in managing business. These include things like hiring the right people & retaining them, delegation & automation problem, lack of required domain knowledge, people dependency, cash flow management, balancing quality and growth, customer delight, inventory management, maintain the service standards and many more. •Enter Obizcoin. Obizcoin will bring solution for managing all these SME & Startup businesses with the domain expertise, rich industry experience & proven management techniques. These solutions will be delivered through Knowledge BOT , based on artificial intelligence and blockchain technology. These solutions assure that the businesses are managed efficiently & their failure rate due to management reason is minimized. It’s the technology that under pins digital currencies and ensures that all transactions are properly conducted and recorded. But what is stored on the blockchain need not be just a monetary unit-it can be put to all kinds of other interesting uses. With the help of ethereum smart contract technology, employee rating and rewarding shall be automated, as smart contracts would execute the financial transactions like payroll, incentives, bonus and commission depending on the predefined conditions.. The ethereum smart contract based reward system would bring tangible benefits to the human resource management. Process mapping-procedures development-KRAs and KPIs-Reporting and MIS. Insights on the efficient as well as less efficient vertical sin the organization & work on them to overcome weaknesses & grab opportunities. Excellence in business Process Management can be achieved by developing and implementing Standard Operating Procedures (SOPs) for organization. Standard operating procedures are a set of instructions that address the WHO, WHAT, WHERE, WHY AND WHEN of anactivity. SOP defines the responsibilities, authorities and reporting structures for every hierarchy within the organisation. BOT will have in-built processes designed for every department in the organization (Eg. Purchase, Sales, HR, Accounts, Customer Service, Marketing, IT etc. ), in accordance to the domain knowledge best industry practices. These standard processes can also be customized as per the requirements of the user. BOT not only develops the processes but also helps in implementation. Implementation includes allocation of team to carry out the processes, allocation of tasks to the team, monitoring the progress of the team, rewarding the team and upgrading the processes. These processes can be customized by the businesses, to suit their requirements. SOP Development in turn helps Startups and SMEs to build a sustainable business and reduce the chances of failure in management. •Top Scoring parameters like processes/ departments/ employees/cost centres etc. •Weak Scoring parameters like processes/ departments/ employees/ cost centres etc. • Total Tokens for ICO Participants: 270 Million (90%) OBZ Tokens. If Investor Tokens are not entirely sold, the remaining will be allocated to the reserve and used accordingly when needed. • Team, Advisors, Channel Partners : 24 Million (8%) OBZ Tokens. 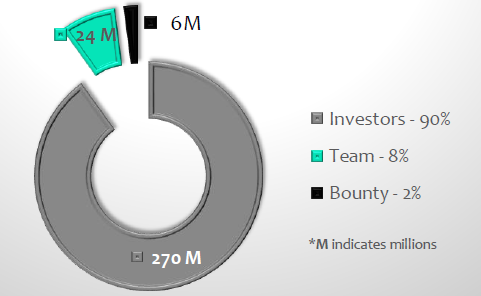 • Out of total OBZ Tokens allocated to the team, only 10% would be unlocked every 06 months. This ensures that the team solely focuses its effort on making the Obizcoin Decentralized Application grow.